This spotlight Sunday, I would like to present to you some incredibly awesome Star Wars jewelry. Annie Nygard is an independent seller who makes incredible “stamped, leather, and beaded jewelry.” These darling Han and Leia wedding bands are only the beginning of her great jewelry. Fully customizable and with the subtle kind of references that are the mark of a great geek, she has incredible variety guaranteed to help you find just what you’re looking for. Not getting married? 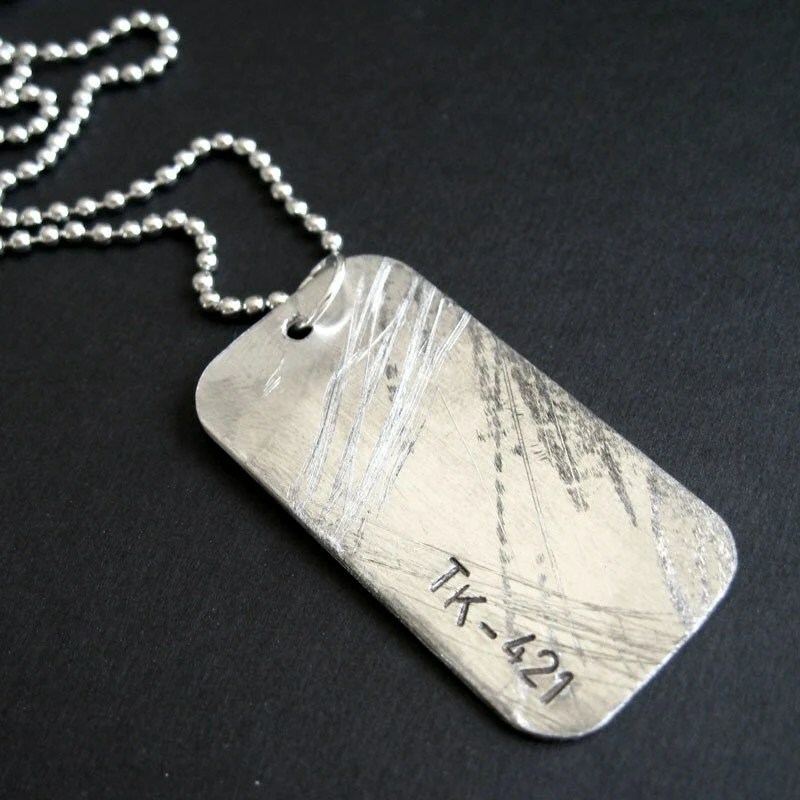 Try the I Love You / I Know bands in adjustable silver and aluminum with your choice of font. It also comes as a pair of bracelets. Or you could try the clever “Real Men Shoot First” aluminum cuff bracelet, or the “Scruffy Looking Nerf Herder” in copper. I personally really like the “I happen to like nice men” / “I’m nice men” paired bracelets. For others who aren’t interested in the romantic side of things, there’s a “Do Or Do Not” bracelet, a “May the Force Be With You” large aluminum cuff, and a “I Have a Ridiculously High MidiChlorian Count” aluminum necklace on a cotton cord. 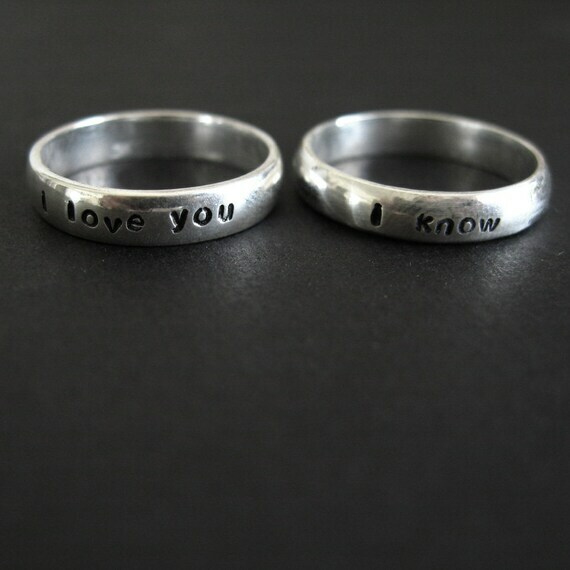 There’s also a light side and dark side pair of rings, and a sweet “Jedi” slide bracelet. This entry was posted on 5 June 2011 at 11:37 AM and is filed under Spotlight with tags collectables, jewelry, real world. You can follow any responses to this entry through the RSS 2.0 feed. You can leave a response, or trackback from your own site.